Can’t make it to our Business Showcase but want to be part of this great event? No problem! 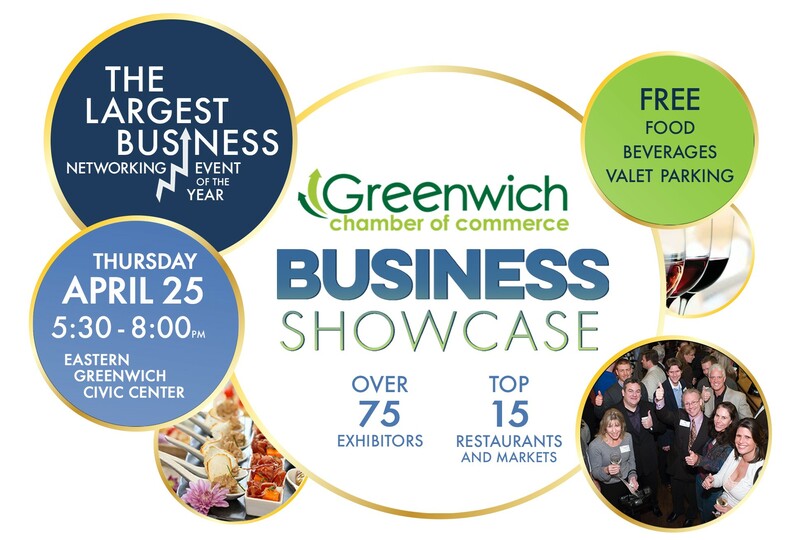 Your logo can be displayed prominently on our Greenwich Chamber of Commerce Walk of Fame banner at our April 25th Business Showcase. Let everyone see your name as they walk into our Business Showcase. A great advertising opportunity. Send us your logo now! Fee: $500. Your name will also be recognized in our Chamber’s special Business Showcase website page. Plus, two free tickets to the event for your friends. Maximum ten logos so reserve yours.